Macbook Pro Charger, Replacement Ac 60w Magsafe Power Adapter Charger for MacBook Pro 13 inch - For Macbook Released before Mid 2012 by katemate at Andy Pemberton. Hurry! Limited time offer. Offer valid only while supplies last. Portable charger for travel, Keep an adapter at home and one at work. 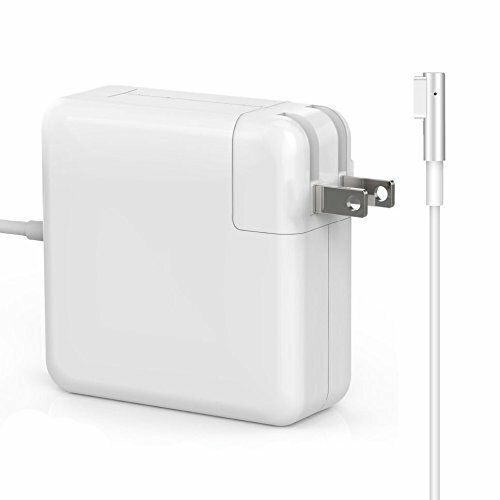 5、NOTE: This is the first generation of magsafe power adapter, not the second generation;Knowing which specific Mac model you have is important. Please Check Clearing Clearly Before Buying. If you have any questions about this product by katemate, contact us by completing and submitting the form below. If you are looking for a specif part number, please include it with your message.